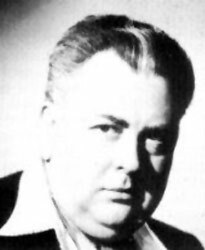 Raymond Robinson Lovell moved to England at a fairly early age. He trained to become a doctor at Cambridge University but gave up medicine for the stage in the 1920s and began in the movies in the early 1930s. 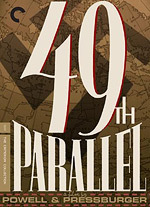 The 1941 film, 49th Parallel was shot in Canada and costarred Laurence Olivier, Leslie Howard and Raymond Massey. It was edited by David Lean who would go on to be a director of such important films as Great Expectations, Oliver Twist, The Bridge on the River Kwai, Lawrence of Arabia, Doctor Zhivago, Ryan’s Daughter and others. At least one source states that Raymond Lovell was born in 1899.